Discussion in 'Star Wars: The Rise of Skywalker' started by SWNN Probe, Apr 6, 2018. There is a storm coming, and until we have concrete answers on the cast and future for Princess Leia in Star Wars: Episode IX, we will go through waves of wonder, wishes, and speculation over how to handle the iconic character in the wake of its 40 year tenant Carrie Fisher's passing. 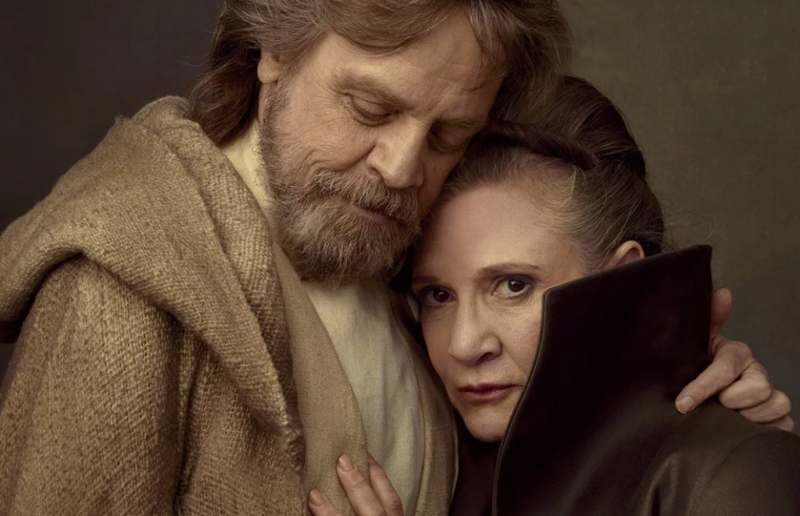 In what should come as a surprise to nobody, her space-twin Mark Hamill doesn't know how they'll handle it, but feels that Carrie is irreplaceable. In an interview with Steve Weintraub of Collider, Hamill shared his thoughts on the idea of potentially recasting Princess Leia in Star Wars: Episode IX. As many would expect, the actor isn't very fond of the idea, going as far to say that in his opinion, Carrie can't be replaced. Within a certain context that quote by Hamill is interesting, but it appears a bit dated. We know Colin Trevorrow had a story for Episode IX so he did indeed have to re-work it with Lucasfilm once Fisher passed, however he was jettisoned from the project last August and replaced by J.J. Abrams and Chris Terrio, who have since written a new script for the film. Many, including myself, have speculated Trevorrow was dismissed due to story disputes, considering nothing for Episode IX had been done aside from the story development. In regards to the 'computer generating' comments, Hamill is alluding to Kathleen Kennedy who has (at least up until last summer) being quite direct that there will be no CGI rendering of Fisher and that the actress will not be in IX. However, Kennedy has not spoken on the subject since Abrams took over, and it can't be ruled out that the story he and Chris Terrio have developed could have swayed Kennedy to bend those rules, if even a little bit. Just because Kathleen Kennedy spoke on something last year when a different writer and director was in place, doesn't mean things can't change. Weintraub goes on to point blank ask Hamill if he'd have interest in coming back as a Force ghost in Episode IX. Hamill talked about his grand entrance in Episode VII and his grand exit in Episode VIII and whether or not he is a part of IX or not is up to Chris Terrio and J.J. Abrams, but claims he has no idea one way or the other at this point. In trying to get ahead of the storm of speculation, The Resistance Broadcast had a lengthy discussion/debate back in January about what they should do about Princess Leia in Episode IX. We then asked our listeners what they thought they should do and they overwhelmingly voted that her death should be mentioned in the crawl for Episode IX. If you haven't read it yet and would like to, here is my tribute to Carrie Fisher. 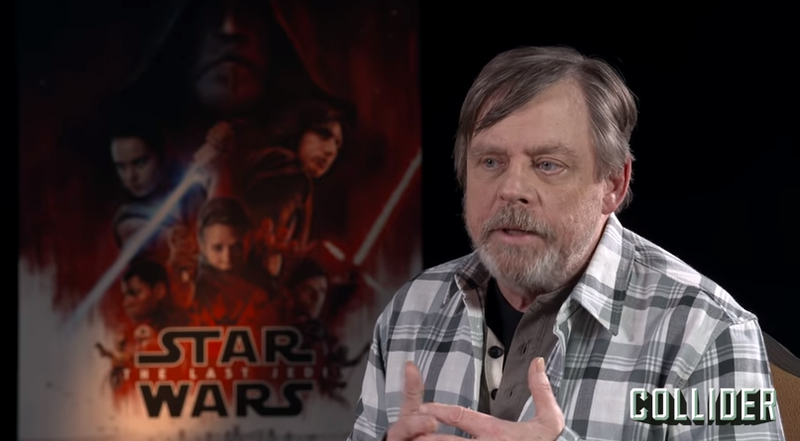 Luke Skywalker himself feels Carrie Fisher is irreplaceable - that should be enough right? Sure Kathleen Kennedy said they will not bring back Carrie with any unused footage or CG rendering but again that was long before J.J. Abrams took over, so is it at least possible they may have bent on that a little if Abrams pitched them something appropriate and feasible? Time will tell what Lucasfilm and Abrams landed on, but fully expect this topic to consume a lot of the media and fan attention surrounding the film as it begins production this summer. If they don't recast Leia with another actress, knowing Abrams' reputation, we may not find out what they decided to do about Leia until December 2019 when Star Wars: Episode IX hits theaters. They should replace Carrie Fisher with a CGI version of Meryl Streep!!! He's not the only one who thinks this way. 1. Mike Hamill is most influential actor in the history of cinematography whose character actually already died in the film by the decision of dirrectors . 2.Tragic death of Carrie Fisher should be compensated by dirrector skills, not by replacement of a legend of Star Wars with another actor,or a computer. For me, I can separate the two if it means proper closure with the character. To quote Mark himself, technically he doesn't own Luke he just rents it out for a time. They did it with Tarkin and all that matters is families permission. So, to that end what we want is irrelevant. In Rogue One, at the time, understandable. Anything else, hell no. I don't think they should, but it wouldn't stop me from seeing the film if they did. Nobody is irreplaceable including Mark, you, and me too. No amount of sentiment, comfort level, or passion changes that. I don't think they should either; she was so linked to the character of Leia that I think perhaps retiring the character is the right thing to do. The only caveat is if they wanted to make a stand-alone movie about Alderaan, the early days of the Rebellion or something and cast someone playing a much younger version of Leia (I know that Milly Bobby Brown gets a lot of mentions) than that would be different, but that's about the only possibility that would feel right. What they did with Rogue One was fine but with Carrie Fisher having gone now it might feel a bit... odd to to try and recreate her with CGI. Mark Hamill Filming Knightfall Season 2 - What Does This Mean For Star Wars Episode IX?